In all the years that I have spent in the field of nutritional medicine and health care, there has never been such a controversial subject as calcium and vitamin D, the power combo for overall good health. Not only is the subject considered controversial, but it has also been contradictory. Some of the research has shown calcium and vitamin D—often sold together in supplement form for maximum absorption—as beneficial, and some has seen it as harmful. It definitely has been the subject of heated debate! Previous research has indicated that calcium and vitamin D can decrease the risk of osteoporosis, fractures, heart disease, cancer and even multiple sclerosis. There are established government guidelines regarding the consumption of the nutrients, and both calcium and vitamin D can be found in lower levels in older people and children. This has led the average consumer to think that these two nutrients need to be supplemented (because people can’t always get enough from diet alone) which is where the confusion sets in and controversy strikes. Other research has shown the use of calcium supplements with or without vitamin D could increase the risk of heart attack by as much as 30%. This created a great deal of fear around the use of the supplements: 30% increased risk is high! However, the latest findings presented at the World Congress on Osteoporosis, Osteoarthritis, and Musculoskeletal Disease looked at the association between the two nutrients and the risk of heart disease in more than 63,500 older women. The researchers looked at the data of 18 different experiments that used the two supplements and determined the rates of death from cardiovascular disease over various time periods. Not surprisingly, in my mind, there were no increased risks of heart disease in those subjects who were regularly taking calcium with or without vitamin D supplements, compared with those who did not take those nutrients. How Much Calcium and Vitamin D Do You Really Need? Many people really do need calcium and vitamin D supplements. The need for supplementing could arise because of chronic disease, decreased absorption or even inadequate dietary intake. 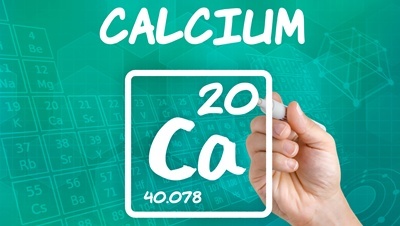 One thing to remember is that the current recommendation of 1,200 to 1,500 mg of calcium per day is based upon elemental levels of calcium, not the amount that is achieved by the weight of the supplement. For example, if you are consuming only 500 mg of calcium per day through your diet, you may also require another 700 to 800 mg through supplementation. But if you take 800 mg of calcium it may not be enough if it doesn’t absorb. Elemental calcium refers to the actual amounts of calcium that are released from the supplement that is available for absorption into your digestive tract. Calcium citrate is a very absorbable form of calcium available in supplement form. So what you see on the label is most likely what you will absorb, which is very important. Vitamin D is even more difficult to acquire in adequate amounts from your diet because it is found in only a few foods. In fact, the sun is the most common way to get adequate vitamin D, and direct sunlight isn’t available year round. The recommended level of vitamin D for adults is 600 to 1,000 IU per day. It is very uncommon for people to get enough vitamin D from direct sunlight or diet, and supplementation is often required. My best advice is that if there is any supplement where you should ignore the bad press, it is calcium and vitamin D. The two are highly beneficial, aren’t easily attained naturally, and are better absorbed and utilized into the bloodstream when they come together. The power combination is undeniable given the recent research. Let me set the record straight: There should be no fear of these nutrients causing any increased risk of chronic disease development when used properly in accordance with your diet and nutrition regime. O’Riordan, M., “Calcium/CVD Risk Debate Gets New Fodder From Analysis,” Medscape web site, April 14, 2014; http://www.medscape.com/viewarticle/823510?nlid=54463_2743&src=wnl_edit_dail&uac=5573DJ. Lewis, J.R., et al., “The effects of calcium supplementation on coronary heart disease hospitalization and death in postmenopausal women: a collaborative meta-analysis of randomized controlled trials,” World Congress on Osteoporosis, Osteoarthritis, and Musculoskeletal Disease; April 5, 2014; Seville, Spain.